For over 50 Years, Newman Associates has been building a reputation in the New England area as the construction supply specialist, where service comes first. This is our history. The company was founded in 1964 by Henry D. Newman, and was set up to distribute miscellaneous hardware, including fasteners, such as bolts, nuts and threaded rod. Customers initially included Plumbing and Heating Wholesalers as well as Plumbing Contractors in the Greater Boston area. By the late 1960’s the company was distributing Pipe Hangers and Supports manufactured by F&S Manufacturing out of Brooklyn, NY. During the 1970’s the company continued to expand its product offering as well as the geographic market it covered by venturing into the Northern New England states of Maine, New Hampshire and Vermont. Hank Newman began to run the company in the early 1980’s and subsequently expanded sales coverage into the Southern New England States of Connecticut and Rhode Island as well as New York. In the late 80’s the operation expanded from hardware sales only to include engineering and fabrication services. 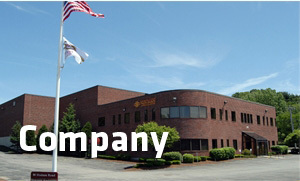 Westwood Systems Inc. (WSI) a steel fabrication company, owned by Newman Associates, was founded in the early 1990’s. 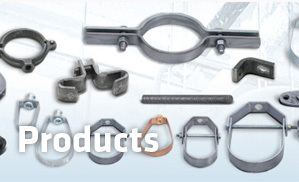 From that time on, Newman has promoted the “One-Stop Shopping” concept of providing design and engineering services as well as custom support fabrication and hardware. Newman Associates took the “One-Stop Shopping” philosophy to our day to day operations, by including tools, ladders, and safety product lines. Quickly the company grew beyond its existing capacity. This required Newman Associates to move into a larger, more expansive facility. Moving from Westwood to Canton allowed Newman Associates and Westwood Systems to combine engineering, design, fabrication, and warehouse facilities under one roof. It’s state of the art 50,000 sq foot facility allows a seamless, quick and responsive operation for our customers’ needs. 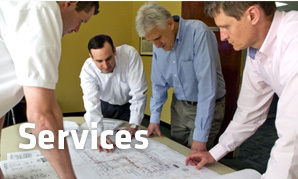 During the mid 2000’s Newman Associates expands engineering and fabrication services throughout the East Coast and Midwest. The company is working on projects in the Mid-Atlantic States, Florida and the Chicago marketplaces. Newman Associates is a leading partner to many construction and engineering firms in the Water and Waste Water Treatment Facility Industry. Our reputation for quality and meeting our customers critical construction deadlines has made Newman Associates the prefered partner to the top tier Construction firms in this industry. Newman Associates remains true to our values – we will continue to provide our customers in the Plumbing, HVAC, Electrical and Fire Protection trades with technical expertise, quality products, first class service and competitive pricing. With an eye to the future, Newman Associates continues to expand. Our Engineering and Fabrication teams continue to work on the most advanced and challenging projects within the industry.